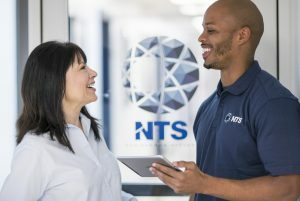 NTS’ engineering, test, inspection, and certification services are independently recognized for an enormous list of international standards for a wide variety of industries. Please contact us if you don’t see the recognition your project requires on the list below. We are constantly updating and expanding our credentials and expanding our scopes of recognition and may have new or additional recognition not included here. Electrical Testing certificates include the fields of: Electromagnetic Compatibility, NEBS, and Radio; Wireless & Product Safety Tests on: Telecommunications Terminal Equipment (TTE), Network Equipment, Information Technology Equipment (ITE), Medical Electrical Equipment, Industrial, Commercial, and Medical Test Equipment, Professional Audio and Video Equipment, Radio Equipment, Electronic (Digital) Products, Industrial and Scientific Instruments, Cabled Distribution Systems, Zigbee Conformance, and USB Interoperability. Mechanical Testing certificates include the fields of: Hydraulic, Dynamometer, Environmental Simulation, Fuel and Fuel System Components, Air Flow, Helium Leak, Gravel Bombardment, Water Spray, HALT, HASS, Acceleration, Crash Safety, Airborne Contaminants, Fire, Fire Spread, Fire Hazard, Flammability, Impulse, Spatial, Heat Dissipation, Illumination, Torque, Sand and Dust, Fluid Flow, Explosive Atmosphere, Rapid Decompression, Slosh, Structural Loads, Mass Properties, Jolt and Jumble, Bounce, Drop Impact, Vibration, Pyro (Beam) Shock, Tensile/Compression, Thermal Vacuum, Freezing Rain, Salt Fog/Spray, Combined Environments, and Temperature Cycling. Acoustics & Vibration Testing certificates include the fields of: Acoustic Characteristics, Acoustic Noise, Structure Borne Noise, Vibration and Shock, Drop, High Impact Shock, Sound Power, Mechanical Vibration, Vibration Performance, Vibration Characteristics, ISTA Pre-Shipment Test Procedures, and Electrodynamic Mechanical Shock. Thermal Testing certificates include the fields of High/Low Temperature, Thermal Shock, Temperature/Humidity, Low Air Pressure, Barometric Pressure (Altitude), Corrosion, Rain, Explosion-proofness, Sand and Dust, Battery Compartment, Immersion, Icing, Fluid Susceptibility, Wind Resistance, Simulated Brush Fire, Test Methods for Environmental, Electronic and Electrical Parts, Semiconductor Devices, Needle Flame, FAA Fire Spread, NEBS (Bellcore), and Fire Spread. Search for "National Technical Systems"
ISED - Innovation Science and Economic Development Canada NTS Silicon Valley is a designated Certification Body for Canada for Radio Scopes 1, 2, 3, 4, and 5. All accreditations via A2LA. Click here to view the NTS Silicon Valley A2LA ISO/IEC 17065 scope. 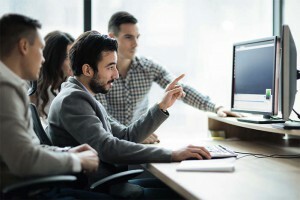 Verizon ITL NEBS TCP Program (Independent Test Laboratory, Network Equipment Building Systems, Testing Certification Program) NTS is trusted by Verizon to provide NEBS testing and reports to GR-63-CORE, GR-1089-CORE, GR-487-CORE, GR-3108-CORE, VZ.TPR.9205, and VZ.TPR.9307. ISED - Innovation Science and Economic Development Canada, APEC MRA, Phase I, Testing NTS Plano is an approved testing laboratory for ISED. The scope of recognition includes CS-03, Parts I, II, V, VI, and VIII. BSMI - Bureau of Standards, Metrology and Inspection, APEC MRA, Phase I, Testing NTS Boxborough, Longmont, Plano, and Silicon Valley are approved EMC testing laboratories (SL2-IN-E-013R) for ITE to CNS 13438 requirements. NCC - National Communications Commission, Chinese Taipei, APEC MRA, Phase I, Testing NTS Silicon Valley is an approved Telecom and Wireless testing laboratory for Chinese Taipei for LP0002. MIC / RRL - Korean Ministry of Information and Communication / Radio Research Laboratory, APEC MRA, Phase I, Testing NTS Boxborough, Longmont, Plano and Silicon Valley are designated testing laboratories for performing Korean EMC tests using RRA Announce 2015-81, criteria for EMI including KN 11, KN 13, KN 22, KN 32, KN 35, and criteria for EMS including: KN 61000-4-2, -4-3, -4-4, -4-5, -4-6, -4-8, and -4-11. Office of the Communications Authority (OFCA), APEC MRA, Phase I, Testing NTS Plano and Silicon Valley are designated testing laboratories for performing EMC tests to Hong Kong Standards HKCA 1039, HKCA 1049, HKCA 2011, and HKCA 2017. IDA - Info-communications Development Authority, APEC MRA, Phase I, Testing NTS Plano is an approved testing laboratory using standard ISA TS PSTN:2011. Telefication NTS Silicon Valley complies with the relevant provisions of RF_051 and has acquired the status of Telefication Reviewed Laboratory. The assignment covers the test(s) to Chapter I, II, III and IV article 49.20(1) & 49.20(2) of the Ordinance Regulating Radio Equipment. ISED - Innovation Science and Economic Development Canada NTS's measurement facilities comply with RSS 212, Issue 1, and are registered with ISED. VCCI (Voluntary Control Council for Interference) Our measurement facilities are registered with the VCCI for EMC testing.